Can Sony and Disney's joint movie and on-demand releases combat piracy? An era of parity between cinema and on-demand releases? For those adverse to the movie going experience, or at least paying for it, the long window between the theatrical and home releases has, in some cases, led to piracy. The big studios are perfectly aware of this and now Sony and Disney have decided to trial simultaneous releases in South Korea to see whether it results in a drop off in illegal downloads. 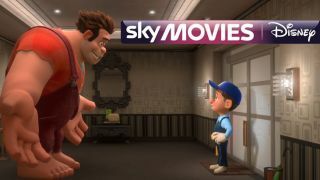 The Wall Street Journal reports that the likes of Wreck-It Ralph, Django: Unchained, and Pixar's Brave will be available on demand at the same time viewers are able to buy a theatre ticket to watch on the big screen. The experiment will be limited to the piracy-rife Asian market for now and it's unlikely that either of the studios will be rushing the trial to the U.K. or U.S. markets. Although it would be lovely if there were no 4 month wait to see a film missed during its cinema run, the big theatre chains certainly don't seem to think so. The multiplexes are fiercely protective of their territory and, as The Verge points out, are prepared to boycott even the biggest blockbusters if the studios attempt to upset the apple cart. Back in 2010, Disney wanted to release Tim Burton's Alice in Wonderland on DVD just 12 weeks after it launched in the theatres, which prompted threats from the U.K.'s Odeon chain to drop it completely. The continually solid performance of major releases at the box office in the U.S. and the U.K. means the studios are even less likely to chance their arm on shaking up the business model.